Michisakari’s true hallmarks can be seen in Heavenly Brew: a delicate fragrance and an exceedingly crisp, light and dry taste. 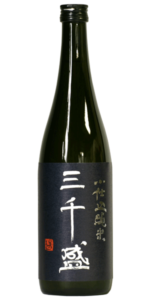 The nose on this sake is barely detectable but you can get faint hints of lychee and melon. The mouthfeel is smooth, light, clear & dry with flavours similar to its fragrance but also with the additional depth of dried fruit notes and a slight cinnamon spice, provided by the alcohol. Aftertaste is short but satisfying and the alcohol warmth persists long after the flavours vanish. Heavenly Brew matches foods with light, clean flavours: fresh fish, grilled vegetables. Try with anything you might normally put lemon on. Heavenly Brew can also be enjoyed on the rocks and makes a great cocktail base.